Thinking about adding a little excitement to the look and feel of your yard? Do you feel as if you need more support and protection for your home? Our driveway gate company in San Diego is the one that can help. We make every type of wrought iron gates and fences that you can think of. Our wrought iron fence company doesn’t just manufacture these items, but we will also install them for you. Our driveway gate company is a highly reliable company in San Diego, and everybody from the community looks to us in their time of gate/fence emergency situations. We can be at your residence or business just moments after you call, and we available 24/7 to take your calls. How many other companies offer this service? Call us today and discover all of the services we can provide you with. Our driveway gate company in San Diego manufactures and installs all types of wrought iron fences that are easily installed around the yard and the swimming pool, and these wrought iron fences are for both commercial and residential properties. If you have these particular types of fences already installed and are in need of repairs or maintenance, then our company can provide you with the repairs that you are in need of. Wrought iron fences are manufactured from galvanized steel and powder coated for extra protection. There are different levels of heights, and our staff can do the complete ornamental work for your fence. Installing block pillars is also a specialty of our fence contractors. 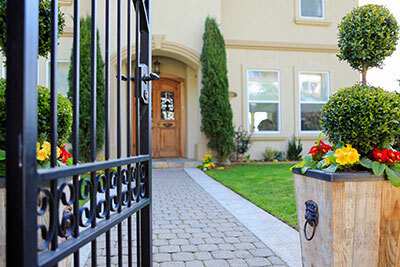 Call our wrought iron fence company in San Diego today. Many types of fences and gates are available for you to make a selection from. Apart from manufacturing and selling wrought iron fences, we also specialize in manufacturing and selling house fences, commercial fences, pool fences and custom made fences. Based on your needs and personal preferences, you can choose between a modern look and traditional look. Our driveway gate company in the city of San Diego will visit your house or commercial property, for an onsite inspection and installation. Just as mentioned above, we can fix almost any type of wrought iron fence. Our driveway gate company has only the most skilled contractors as members of our staff. We offer free price quotes and estimates, so that you can have an idea of the cost of the project, prior to it actually starting. 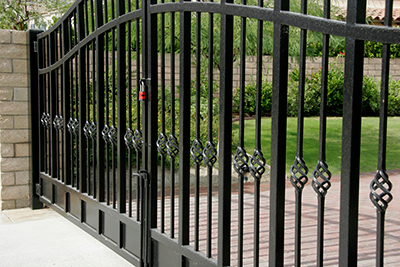 Give us a call at our driveway gate company in San Diego, so that we can attend to your wrought iron gate needs today! Our driveway gate company in San Diego can also do all other repairs and installations on your fences/gates. This includes the springs on the gates, or even a broken driveway gate opener. We will also give you troubleshooting tips, once the installation process is completed. Call us today, and let us be the only company that helps you with your gate and fence needs.